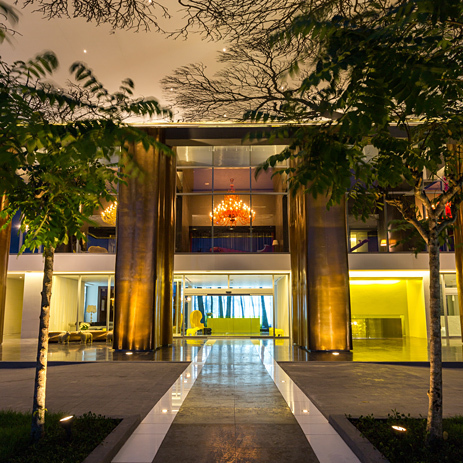 The globally successful apartments with the coordinated design concept from Yoo inspired by Starck are literally at the forefront of development in Panama: situated on the prestigious Balboa Avenue coastal road in Panama City, overlooking the Bay and the Pacific Ocean. Philippe Starck is responsible for the avantgarde style in the 256 apartments. To match the exclusivity of the apartments and penthouse suites, the star designer opted for his own Axor bathroom collection in the bathrooms. 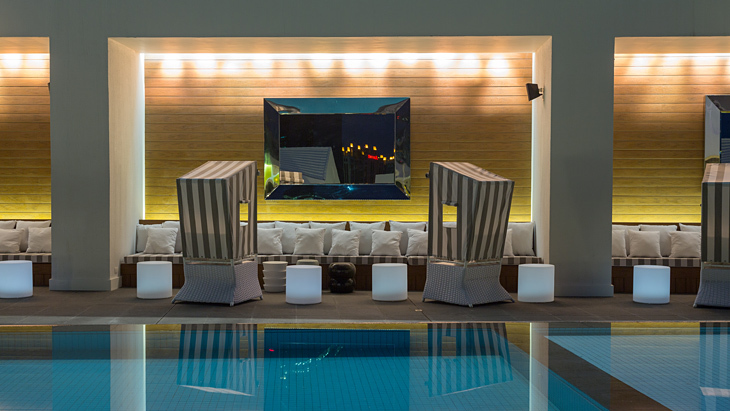 Its purism creates an atmosphere of tranquility, with a stimulating mixture of stylistic quotations and luxury. A two-storey lobby leads into the upmarket apartment complex. The modern architecture contrasts with the colourful chandeliers. 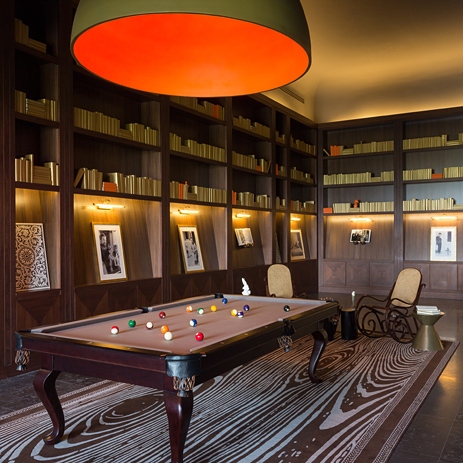 The lounge is surrounded by designer items and extra-large playing pieces – representative of the tongue-in-cheek design which has, understandably, made Philippe Starck famous all over the world. The 300 square metre rooftop garden pool, which is framed by sunbeds and areas of private retreat, offers luxurious relaxation. The view stretches as far as the Pacific Ocean and also over to the Panama Canal, which is only a few kilometres away. The toying with references, mixing of materials and decorative details continues throughout the apartments. Opulent sofas, baroque chairs and chandeliers are combined with contemporary furniture, marble and glass. 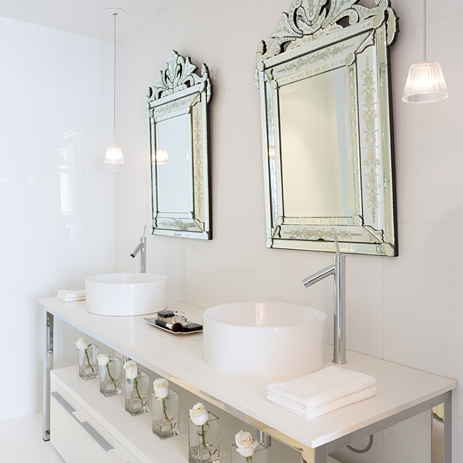 The bathroom architecture consistently blends in with this scheme: richly decorated mirrors are combined with the aesthetic minimalism of the Axor Starck basin mixers. The clear geometry of the mixer and wash basin, together with lots of white and transparency, makes for a tranquil bathroom design. Axor Starck products also feature in the spa's beauty and sauna area, immersing the wash basin areas in a clear, bright ambience. The Hansgrohe Raindance Select E 360 Showerpipe offers innovative showering fun combined with the ultimate in convenience.